Me and my wife like to buy and trade cars on the side as a kind of profitable hobby but on the whole we go with safe bets and avoid older or classic cars. Now I’m sure many of you are itching to tell me that there are safe bets to b had in the world of classic cars, but neither of us have much expertise in that area. However every now and then you know that something would be a safe bet and we will buy classic cars if the opportunity to buy the Delorean ever came about. Unless you have been under a rock, you will have heard someone mention Back to the Future today, for today is the day that Marty McFly and the Doc visit when they bound through time into the future. There has been a lot of nostalgic articles and comment on the film as well as some looks into whether or not the film accurately predicted what life would be like in 2015. Well some things seem to ring true, Lexus have made a hover board, there have been prototypes of flying cars and self lacing shoes are apparently in the works. Whilst trying to kill some time in the office, I was reading one of these articles and noticed someone comment with a criticism that the journalist got the origins of the DeLorean wrong, the commentor also mention the name John E DeLorean, so I thought I would educate myself on who this man was and what he had to do with the DeLorean from the films. 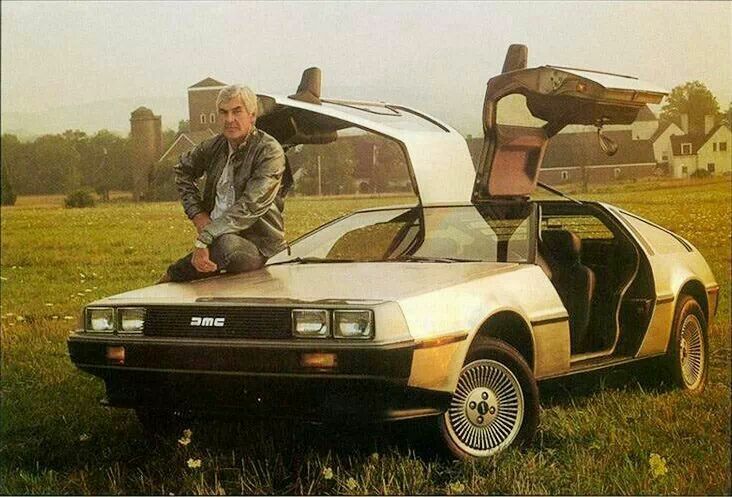 It turned out that John E DeLorean had a long history in the industry. After receiving a masters degree in Automotive Engineering he joined Chrysler’s engineering team. 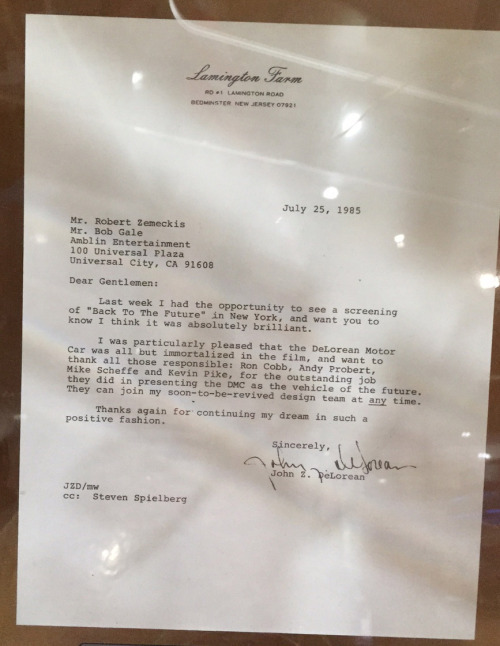 He wasn’t there for long and left for a better salary at Packard Motor Company in 1958, he moved up the ranks pretty quickly and was then offered a job with General Motors where he helped develop the Pontiac and Chevrolet brands. In 1973, Delorean left General Motors to form his own company, the DeLorean Motor Company, which is represented by the famous DMC logo on the car used in Back to the Future. 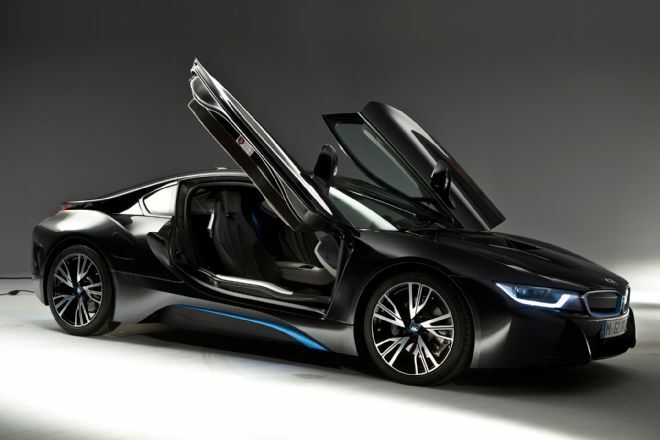 The Car was instantly recognisable with its use of stainless steel and gull wing doors. Yet depite its futuristic looks, it didn’t stop the company going into receivership in February 1982. He was then arrested in October, and DeLorean Motor Company was subsequently filed for liquidation proceedings. Delorean was arrested and charged with trafficking cocaine, he was recorded agreeing to fund a $1.8 million smuggling operation which would smuggle 100kg of cocaine, with terms that he would receive $24 million cut once the operation was complete. He managed to get a not guilty verdict on the bases that the FBI and DEA had unfairly targeted and entrapped DeLorean knowing that he was in a very vulnerable economic position. Despite avoiding prison DeLorean’s fortunes didn’t improve a great deal and he had to declare his Motor Company as Bankrupt. If they were to do modern remakes the Back to the Future films, what car do you think would get the flux capacitor treatment? We can picture the doc doing up a second hand Lexus GS up, but our favourite shout was probably the BMW i8, I wonder how dated that will look in 50 years. Other suggestions came in the form of the Mercedes Benz SLK and then some joker suggested the Mitsubishi Grandis, I guess if you wanted to go on a family trip to the future with the dog, then yes, maybe the Mitubishi Grandis would be a good call. Though you’d probably need a fair bit of road to get to 88mph. Copyright © 2019 Ashford Cars All Rights Reserved.